Synopsis, Our Opinion: A wine we would recommend in a heartbeat. Producer/Winery: Jair and Noel Téllez and their mother Ana Montaño; Bichi; Tecate, Mexico. 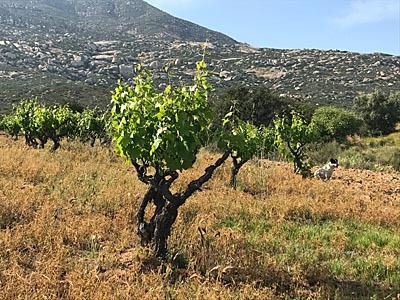 Geographic Appellation, Region, Country: Baja California, Tecate, Mexico. Opened 45-minuets before drinking. Cloudy, muddy light ruby color with the same color rim. Strong ripe cherry aroma with a background of wet barn wood and hints of roses. Mellow but vibrant, fleshy, medium body and a 200-grit texture. Gobs of tart cherry and raspberry flavors, abundant zesty acidity, firm tannins with just a little grip and a long peppery fruit finish. Unusual wine that really grew on us and once we got into it we discovered an exciting wine that was reminiscent of Nouveau Beaujolais. A perfect summer-weight red wine paired with the venison and a wine we would recommend in a heartbeat. Photo from José Pastor Selections. 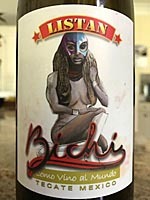 Comments: Learn more about Birchi and their wines. Imported by: José Pastor Selections; Llaurador Wines; Fairfax, California.